A near £214 million investment programme for the next five years has been unveiled by North Lanarkshire Council. The capital plan takes in projects including street lighting, roads improvements, new sports pitches, town centre regeneration and new fleet purchase. And, in line with the council’s plans to become a digital pioneer in Scotland, over £18.5 million will be spent improving operational and customer focused IT provision. This includes improving access to services for residents and upgrading resources for key staff such as social workers, along with improving digital services in schools. 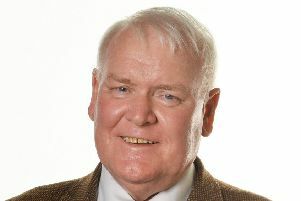 Council leader Councillor Jim Logue said: “Our plans demonstrate how determined we are to provide jobs and stimulate the economy across North Lanarkshire. “Over £32 million will be spent transforming our town centres and we will be providing more information on this in the coming weeks. “The plans include a further £27.5 million in our Schools and Centres 21 programme, £14 million to replace our lighting stock with new LED illumination and £6 million for local area partnerships.